​The Northeast Shelby County Area (I-40 Corridor) of Metro Memphis provides a wide range of business locations - from Class-A Corporate Parks home to billion dollar companies to low profile industrial sites. The Corridor contains an ample supply of free standing buildings for sale and/or lease, multitenant space and greenfield sites. The Bartlett Area Chamber will be delighted to assist you with your site location requirements. 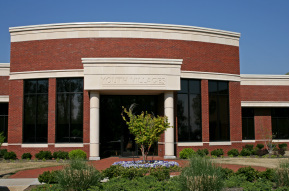 The amenities found within the Bartlett Area make commercial and corporate locations very attractive. Employees enjoy the easy commute to their workplace and the numerous retail and restaurant establishments that cater to their needs. Wolfchase Galleria is the region's primary shopping district and is within five to ten minutes of most office buildings along the Northeast Corridor. Class A properties are available with a wide range of square footage. Professional office facilities are located throughout the Corridor with sizes from 500 square feet to over 5,000 square feet in size. Desiring to create a diversified and sustainable economy, Bartlett has succeeded in offering an ideal environment for every economic sector. Companies seeking a stable, secure and pleasing environment conducive for growth and employee satisfaction are attracted to the Bartlett area. Most developments prefer to attract small to medium sized tenants with high employee density and a need for skilled labor. Available Industrial properties range from 2,500 to 105,000 square feet. Companies seeking a customized facility will find available land appropriately zoned within the area. Build-to-suit arrangements are also available with local developers and general contractors. Wolfchase Galleria (Simon Mall) serves as the area’s epicenter for retail success. Wolfchase is located at the junction of Germantown Parkway, I-40 and Hwy 64. It, and the immediate area, serves as the region’s chief retail destination. The mall attracts shoppers from all across the three state area. 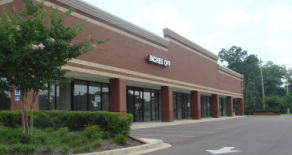 The Wolfchase area has established itself as a vibrant retail center due to its proximity to a major population center with above average household incomes and its easy access throughout the Memphis Metro area. Bartlett and the Northeast Corridor of Shelby County has an ample supply of Retail / Commercial / Industrial property currently available for development plus a future development reserve exceeding 4,000 acres. Current properties lie along Interstate 40 in designated parks as well as large green field sites zoned for commercial development. Retail land development is available along two major arteries: Stage Rd. / Hwy 64 Corridor and Germantown Parkway. Commercial / Office land development is also available along the Stage Rd. / Hwy 64 Corridor and the Germantown Parkway Corridor. The largest contiguous tract is currently 150 acres. Given the amenities of the Wolfchase area these properties are ideal for upscale office / corporate locations. 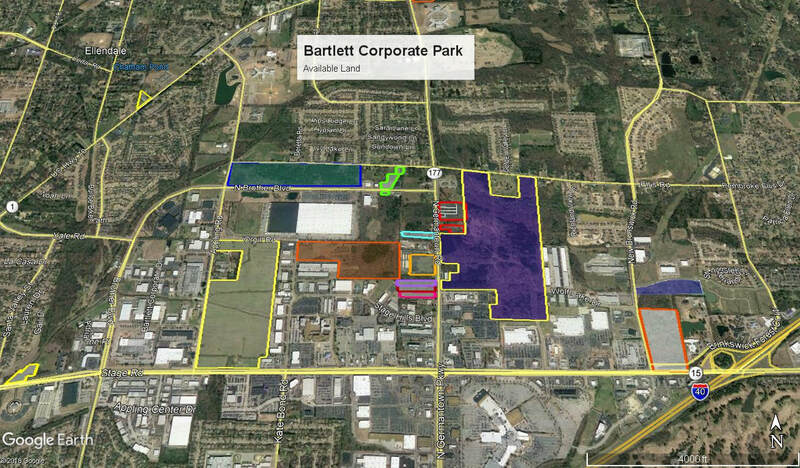 Industrial Property (distribution / light manufacturing) is available within the numerous parks of the I-40 Corridor. Open tracts range from 2 acres to over 100 acres. All major infrastructure requirements currently border these properties. All land within Bartlett & Northeast Shelby County is privately owned. The BACC can provide detailed information on particular sites and areas.